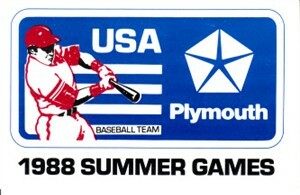 1988 U.S. Olympic Baseball Team official booster card (slightly larger than a business card). MINT. ONLY ONE AVAILABLE FOR SALE.